Nick Albero teaches and coaches on the Single A field at Rising Star Baseball Camp. 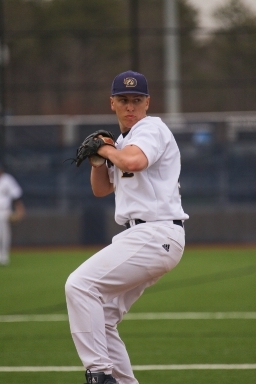 As a standout infielder and pitcher, Nick is a skilled instructor who teaches a variety of fundamentals at camp. Gifted with a strong throwing arm, Nick's fastball is clocked consistently in the low 90's. His performance at Dowling College as a freshman with a 5-1 record and below 1.00 E.R.A. helped lead the team to the NCAA Division II World Series. Nick plays summer baseball for the Long Island Mustangs in the ACBL. Coach Albero attended the Rising Star Baseball Camp as a camper during the summers of 2002-2003.